Hart Pest Control is a family owned and operated BBB A+ rated Pest & Termite Services Company in Spring TX. We have been servicing residential and commercial properties in the greater Houston and surrounding areas since 1969. No contracts required. Our family servicing your family since 1969. "Satisfaction guaranteed no ifs ants or bugs about it!" Excellent professional Service. Very reliable and always resolves any issues effectively and immediately. No bugs in my house....except my husband sometimes. Thank you! He is a fine professional representative for your company. Hart Pest Control is great! Not only did they provide a great service but their tech that came to our house was so nice and helpful. Cannot say enough about them or the tech! Everything was just fine. On time, effecient and friendly. Hi Roger, thank you for sharing your positive feedback! We appreciate the kind words and look forward to future services. Hi Rodger, thank you for sharing your positive feedback. We appreciate the kind words and look forward to future services! Very thorough and addressed our concerns, much better than the big company we used before that would just spray and go. Hi Cisco Salsa Company, thank you for sharing your positive feedback! We appreciate the kind words and look forward to the next service. Causey!!!!! Great guy and great job!!!!! Always informative regarding BUGS and LIFE!!!! Thank you for sharing your positive feedback! We appreciate the kind words and look forward to your next service. Thank you for sharing your positive feedback! We appreciate the kind words, and look forward to servicing your home in the future. Casey was great. He explained everything in detail and took his time answering all my questions. He is very knowledgeable. Hi Cindy, thank you for sharing your positive experience. We appreciate the kind words and look forward to future services! I Called Hart Pest Control for a German Roach infestation after leasing our home for a year. I live that they are conveniently located! Mr. Casey showed up on time and ready to asess the problem ave tackle it. He sprayed each room as well baited as well as sprayed our yard down. We now have no issues with them and are enjoying peace in our home after moving back in. Would recommend Hart Pest Control for all your needs! Thank you for sharing your experience! We appreciate the kind words and look forward to your next service. Thomas is always on time and does a thorough job! Hart Pest Control is great! I was completely freaking out over my cockroach problem. Casey came in and baited everywhere, while calming me down the whole time...... I haven't seen a bug since he came! Thank you for sharing your positive feedback! We appreciate the kind words, and look forward to your next service. Good and polite and answered any questions that I may have had. Thank you for taking the time to share your positive feedback! We appreciate the kind words, and look forward to your next service. We've used hart for 5+ years now and have never been disappointed. Corey was great! Very professional and knowledgeable! Thank you! Thank you for sharing your positive experience! We appreciate the kind words and look forward to your next service! Great customer service! They are always on time and work quickly as not to take too much time out of your day. Professional and clearly stated scope of service. Would recommend. Thank you for taking the time to provide feedback for our services. We appreciate the kind words, and look forward to your next service! Been using them for about 4 years. Never had any issues with pests around the house. They are always on time or early and very professional. Thank you for taking the time to share your positive experience. We appreciate the kind words and look forward to the next service! 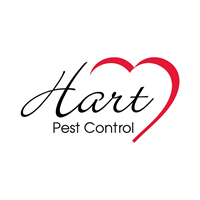 I have been using Hart Pest Control for years and have been very happy with the service. The technician, Casey, is courteous and professional and knows me / my home / pets pretty well now. Have never had any issues; treatments have worked well. I volunteer with an animal rescue / adoption group and I often recommend Hart to people who have issues at their homes. Thank you for taking the time to share your positive experience. We appreciate the kind words and look forward to your next service. Ease of service was great. Set up an initial commercial treatment and scheduled a quarterly spray. I've been a customer for years at my old address in Old Mill Lake. I I never had problems with bugs or spiders, inside or out. Hi Steve, thank you for taking the time to share your positive feedback. We appreciate the kind words and look forward to your next service. Great service , awesome customer service , on time. Thank you for the review! We appreciate the feedback, and look forward to future services! We have been using Hart for around 7years. We recently moved & had issue at new house, but I wasn't too worried as I knew Hart could handle it. They are very professional and personal. I recommend them all the time! Thank you for the feedback and the kind words! We truly appreciate it and look forward to the next service! I have used Hart Pest for 16 years and they have always been very professional. great service, great Tech, great staff. 10/10 service. Hi Cary, thank you for taking the time to share your positive feedback. We appreciate the kind words and look forward to your next service. Referred by neighbor. Just started. Good service. Noticed many roaches in garage were killed after spraying was done. Good job !!! Hi Bill, thank you for taking the time to share your positive feedback. We appreciate the kind words and look forward to your next service! I've been using Hart Pest Control for several years. They are always in time, courteous and professional. Hi Rian, thank you for taking the time to share your positive feedback. We appreciate the kind words and look forward to the next service. Technician was very thorough and informative. Also very nice and professional. Hi Lauren, thank you for taking the time to share your positive feedback. We appreciate the kind words and look forward to your next service! Have been using the company for years. Very pleased. Professional and friendly service. Used Hart for 20 years and always pleased with service. We've been using Hart Pest Control to certify annual Termite inspection for 6 years, adding quarterly pest control a couple of years ago. The personnel are always on time, friendly, and thorough. Last week they treated for mosquitoes in our main yard and into our cleared woods quite a ways. It's wonderful now to be able to enjoy walking and riding bikes in the back yard and into the woods in the late afternoon and evening without being "bugged" by mosquitoes! It appears so far that this will be a much less intrusive and less costly method of controlling them for the spring/summer. Have used for years. They keep our home pest free..
Hi William, thank you for taking the time to share your positive feedback. We appreciate the kind words and look forward to your next service! This contractor ALWAYS arrives on the date AND time once you have a scheduled visit. The technicians are pleasant, thorough and a pleasure to have take care of your pest needs. I highly recommend them to all!.. Hi Roberta, thank you for taking the time to share your positive feedback. We appreciate the kind words and look forward to your next service! Hart Pest Control is a wonderful company! Excellent customer service! And very knowledgable employees! I would highly recommend this company!.. Hi Ronnie and Becky, thank you for taking the time to share your positive feedback. We appreciate the kind words and look forward to your next service! Your Home is your biggest investment, so you want to do everything you can to keep it in tip top shape. Sometimes though, things happen you can't prevent, bad storms, lightening, a ball going through your window, a dead tree falling on your roof. There is one problem we sometimes miss until it's too late..........Termites. Hi Patrick and Carol, thank you for taking the time to share your positive feedback. We appreciate the kind words and look forward to your next service! Hi Tim and Jean, thank you for taking the time to share your positive feedback. We appreciate the kind words about Thomas and look forward to your next service! Hi Ronny and Lynn, thank you for taking the time to share your positive feedback. We appreciate the kind words about David and look forward to your next service! We have been a client of Hart Pest Control for ten years. They have been responsive to our pest control needs at a reasonable price. Their fees have increased very little and they try to send the same techs every visit. Their staff remains stable, capable, and courteous. We get personalized service. We couldn't recommend them more!.. Hi Pamela, thank you for taking the time to share your positive feedback. We appreciate the kind words and look forward to your next service!